Who here struggles to think up really juicy content ideas for Instagram? Well I’ve got just the thing for you. I’ve come up with a month of daily Instagram prompts for May. Some simple words and phrases to get you posting pictures and captions on your grid throughout the month. This is completely inspired by Joanne Hawker’s brilliant March Meet the Maker challenge which I joined in in March. Again every day there was a prompt that you use for inspiration and off you go. I found it a brilliant springboard for fun and interesting content. So I’m hoping you’ll enjoy mine just as much. 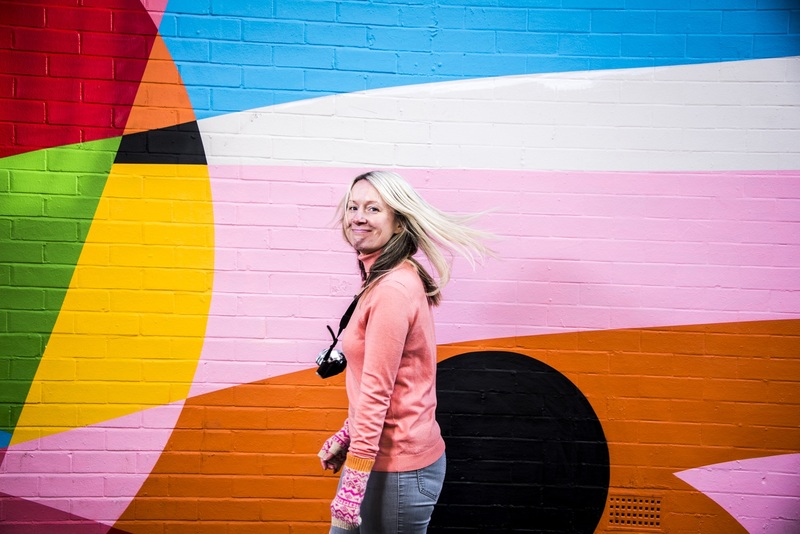 What I would recommend is that you join in as little or as often as you like. Participating every day would be a big ask. If you only have time or the inspiration to do one post from all these prompts that is absolutely fine. And for those prompts that you don’t understand – I’d say just interpret it in whatever way you feel fit. ‘Surprising Fact’ could be that you like eating macaroni cheese out of a can or it could be that you speak Mandarin – there are no rules at all with these prompts. ‘Rebellious Streak’ could be that you don’t follow recipe instructions and freestyle instead or perhaps that you dye your hair green. And if a prompt totally doesn’t appeal to you or make sense, feel free to ignore that day. 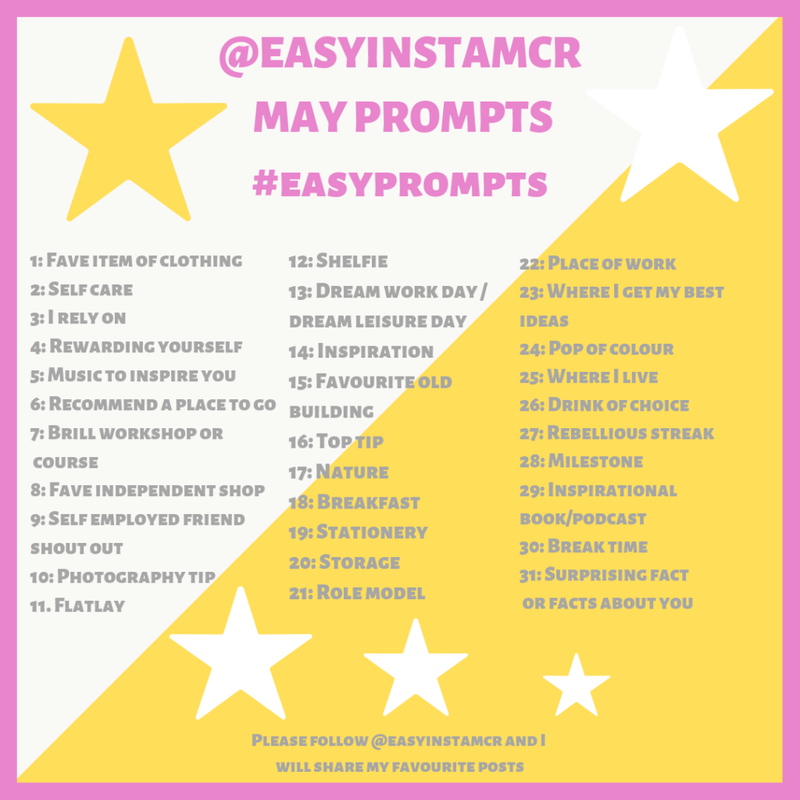 I would love to build an exciting and warm sense of community around these posts, so please tag me in using @easyinstamcr and use the #easyprompts hashtag so that I can share your posts in my stories. Let’s have some fun!